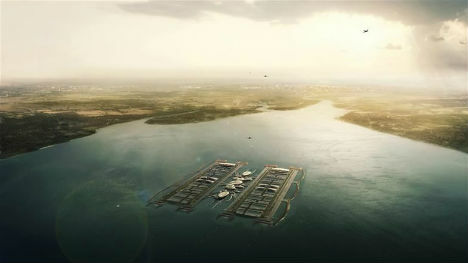 London could get a new 21st-century airport that utilizes some of the only space left within the city – the surface of the Thames River. 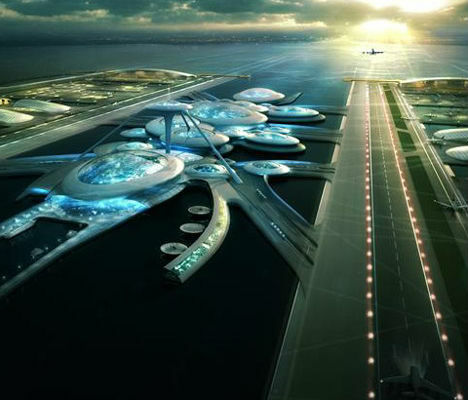 The London branch of the international architecture firm Gensler has unveiled plans for a futuristic floating airport with terminals connected by underwater tunnels that also lead to rail systems. 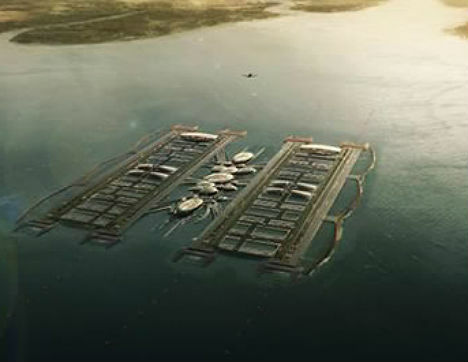 The new London Britannia airport (images by Vyonyx) would consist of a series of rounded pods along with four floating runways set on giant platforms that are anchored to the sea floor. The underwater tunnels would connect passengers to central London and to European rail networks. 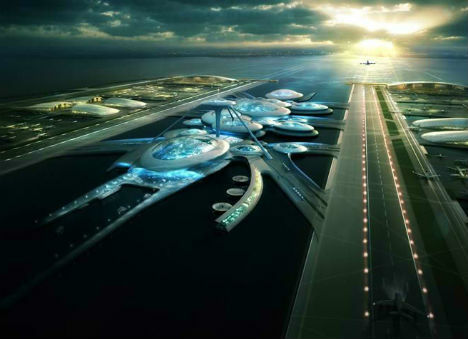 The proposal comes in answer to the UK government’s quest to increase airport capacity in southeast London. And what of the aging Heathrow, London’s current airport? Gensler has plans for that space too, not intending to leave it abandoned and wasted. 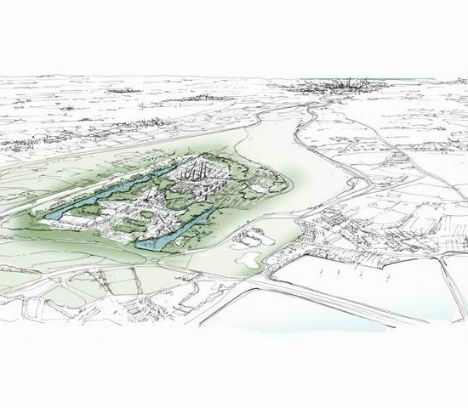 Take a look at Heathrow Eco City, a new green neighborhood for 300,000 residents and 200,000 workers which utilizes the old infrastructure of the airport.